So how do you take something as simple as a missing garbage can lid and turn it into a million dollar business? For starter's, you make it better and more efficient than anything else on the market.The Last Lid was born out of necessity rather than a new invention to turn into a business. Kevin and Melissa Kiernan had a problem with wild animals knocking down their trash cans and making big messes quick. Most garbage can lid's are a separate item and buying a replacement has never been an option. Until Now! The Last Lid is just that, the last lid you will ever need to buy and superior to any lid on the market. You Ever Have To Buy! It's also guaranteed to keep the family of raccoon's in your neighborhood out of your trash thus eliminating several problems with a single solution. When the Kiernan's first appeared on the Shark Tank Show in Season 3 earlier this year, they had a working model of their invention, but no sales. What they did have going for them was a unique product that solves a real problem for thousands of people and nothing on the market that covers this niche. The Kiernan's was asking the Sharks to invest $40,000.00 for a 20% stake in their business. Out of all the Sharks that night, they were most interested in making a deal with Daymond John because of his Brand building and manufacturing skills. To their surprise, John was indeed the most interested in The Last Lid but without any previous sales, He knew this would involve a lot of his time. With all the other Sharks already out, Daymond gave the Kiernan's one chance to make him a deal he couldn't refuse. As proven time and time again, when the Sharks give you one last chance to sweeten your offer, they mean it and often give you their answer almost immediately. Kevin realizing very quickly that his invention's success has come down to what he says next, offers Daymond John 60% controlling interest in the Last Lid for $40,000,00. Daymond almost looking shocked at such a reasonable percentage, agrees immediately to the deal. Kevin and Melissa already had most of the pieces of the puzzle in place to make the Last Lid a success but they lacked the one crucial piece to turn this invention into a serious business and change their financial lives forever. Daymond held out that piece and the Kiernan's quickly agreed to become his partner. After the Kiernan's Made a Deal on the Shark Tank Show, it took about three month's time before it became final and Daymond John was their new business partner. The first order of business was to make an infomercial to demonstrate why they are superior to the lid's you are currently using and the problems it will solve by using them. Daymond John 's in the infomercial and has agreed to using his image on future advertising if needed. Melissa also said it's a real pleasure working with Daymond, and He's accessible at all times helping anyway he can. He is a Great Business Partner, Melisa said. The Last Lid is an inspiration that you can take just about any product, make it better and start a Very Successful Business in a short amount of time. I Love It! Who would have thought you could make a good living selling trash can lids? 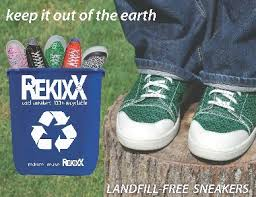 More Information on "The Last Trash Can Lid"
What about the sales now ? I just found this site via a tweet from Daymond John. It's good to see he is sticking behind them long after making a deal. Are you friends with him to get that type of publicity for your blog? WOW, I am very grateful that Daymond took the time to read this blog much less mention it on twitter. Hopefully my enthusiasm for the show comes across more then the grammar mistakes that a some people like to remind me of. I look forward to being on the Shark Tank Show myself someday and knowing as much about the past contestant's and what has made them successful can only be a "positive" when I'm standing in front of the Sharks myself. Every single product and every single contestant I have learned a great deal from. Whether anyone else ever reads this blog or not is besides the point. It is a reference for me (and other future contestant's) and a very easy way to look up past contestants and the products websites for all the seasons. John I agree with you, Daymond is smart, methodical and before he even makes a move he has put his strategy in place to make it a win and he has a heart of passion and belief in people. I think each shark is on for their own reason, they all have heart and are not as tough at times as some have thought. I love each and every one of them and really hope to be a Future Contestant too. I have so many telling me as they know I love the show but for me it will not be because of any invention:) It will be because I would love to be the Dolphin I am and continue to help all products and services in the market place that deserve the opportunity. I love learning, seeing and finding new products and have two that I know that are new but trust me, their passion will sustain and their committment will bring them gain and I want to help them do it. Hey John it's Melissa from Last Lid. I emailed Daymond the blog. I like to do that when I read nice things about us. He really liked the artice! Thanks for writing it! Hi Melissa, I really appreciate you doing that. You definently hooked yourself a good Shark. Tell Daymond I said Hello the next time you talk with him. John, thank you for the blog. I force myself to be home, and in my seat on time to watch ST. I understand your statement re: comments made related to your grammar, instead of the commenter saying thanks for writing the blog. It's been very helpful to me. Keep working on your product. You are alone, but you are not alone. I Know you have a No Joke, Big Bucks, REAL DEAL for Daymond. He has been awaiting your contact or call. He doesn't get very many offers like that. I would think though, you probably won't hear from Daymond from posting here, since this is not Daymond's blog. But hey, you never know. 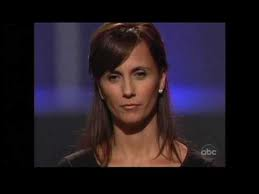 I love Shark Tank. I love the fact there are some of those who have a good heart helping others succeed. Those who have dreams and those who have ideas who are willing to take a chance in life. My wife and I have dreams and have ideas but are afraid of presenting them cause we are afraid our ideas will get shut down. 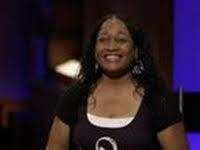 I have noticed ever since watching Shark Tank the sharks gives out excellent advice how to get your business going. Would be nice if there were more like them in the world. I love all the Sharks for what they do. Wish I could meet them in person. Wish I had the nerves going on tv and present my ideas to them answer the questions they ask other contestants. They are smart and know what they are doing. If any of you ever go up to the Sharks and present your ideas let them give you the advice you need and grow on it if you don't get a deal with them. That is just as value then the money they offer. However it works for all of you Good luck with your inventions. How hard is it, for the trash guy to get the lid off? Our guys just pull the lid off and toss it in the yard and dump the trash. I'm afraid if they have to undo the velcro, they won't take my trash. And if they do take the time to undo the velcro (which they wont!!!) they will just toss the last lid and if it's a windy day there goes my lid!! Can this lid be attached to one of the handles some how? The web page does not cover this kind of information, would be nice if it did. But I won't order the 4 I'd like to with out this information. I didn't like the product because it was cloth. I thought the deal was great for the Kiernen's that Daymond funded the deal. They got a sharp partner in Daymond. Bottom line, its been over 1 year. What are the sales? Checked the web site after watching the show. Just a suggestion, not trying to be negative. I seeing your episode on TV last night and I seen how the other sharks turn you down Thank God that Daymond gave you a chance I believe once God has got his hands on you and there is nothing no one else can do about it. God can open any door the other men can't shut. if you want to up your sales start making team logo lids. tell daymond I am a big fan of fubu, and I need some more shirts lolmay God continue to bless you and your business.